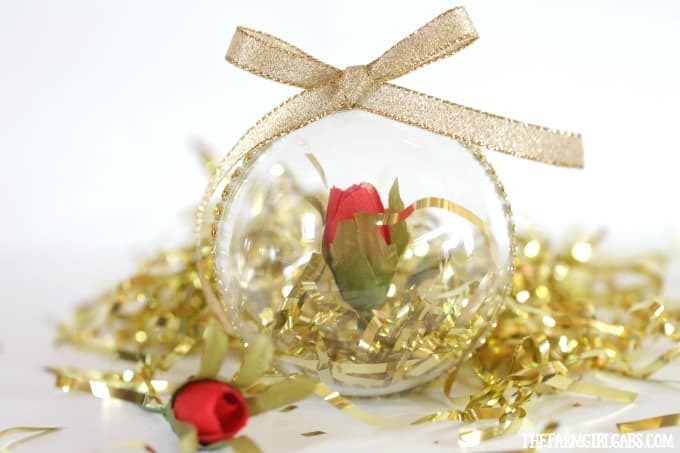 This simple DIY Beauty And The Beast Enchanted Rose Ornament is inspired by the classic Disney Beauty And The Beast movie. 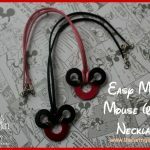 This is a fun Christmas craft for Disney fans of all ages. 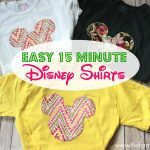 In case you haven’t noticed, I love to make Disney Crafts! 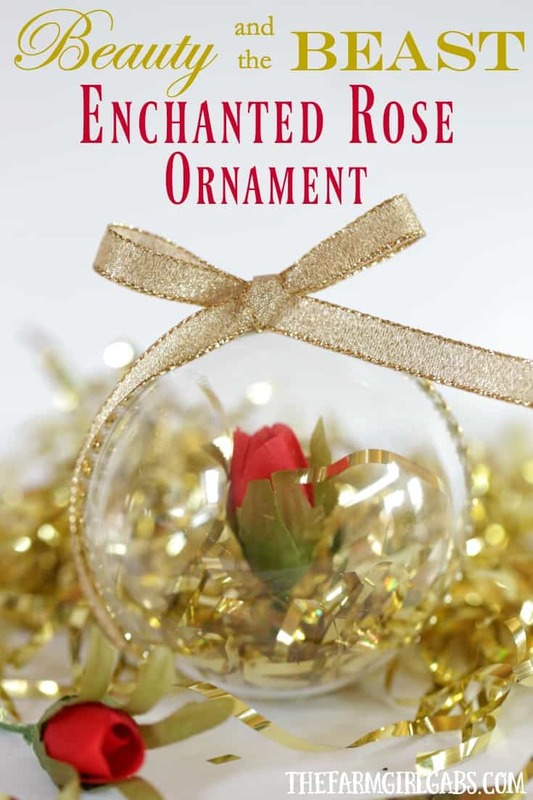 Today, I am adding to my Disney Princess Ornament collection with this super simple Beauty And The Beast Enchanted Rose Ornament. Not that I have aged a day since the original Beauty And The Beast movie premiered in 1991, but I still remember taking my now 29-year-old nephew to see it. The Enchanted Rose plays such an important part in this wonderful story. 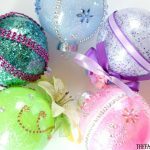 Start by separating the plastic ornament. 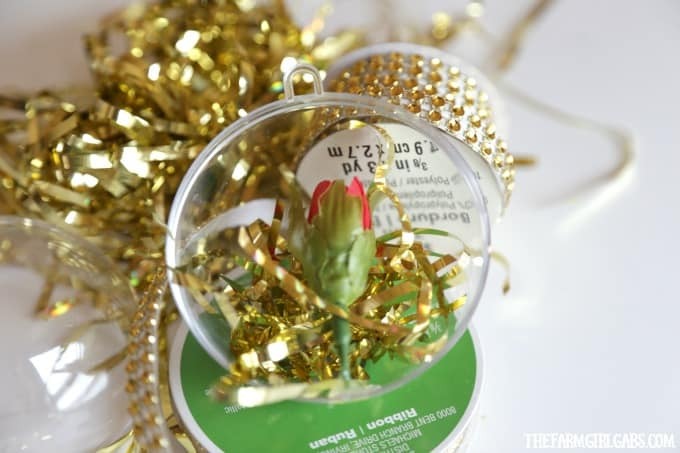 Trim your miniature rose to fit the diameter of the ornament. 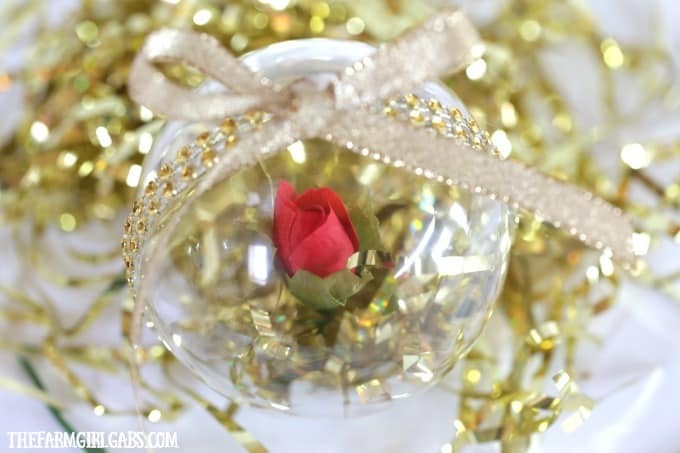 Apply a small amount of hot glue to the bottom edge to secure the rose in place. 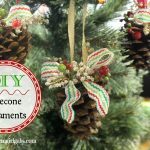 Take some of the gold crinkle filler and cut into smaller pieces. Add a small amount to the ornament. Close the ornament and run the gold rhinestone trim around the opening to seal both sides. You can also glue in place to secure. Finish the ornament off with a pretty gold bow at the top. I am so excited about how this turned out. I am equally excited about how easy it was to create. This ornament is such a fun way to celebrate the release of the remake AND my favorite holiday! 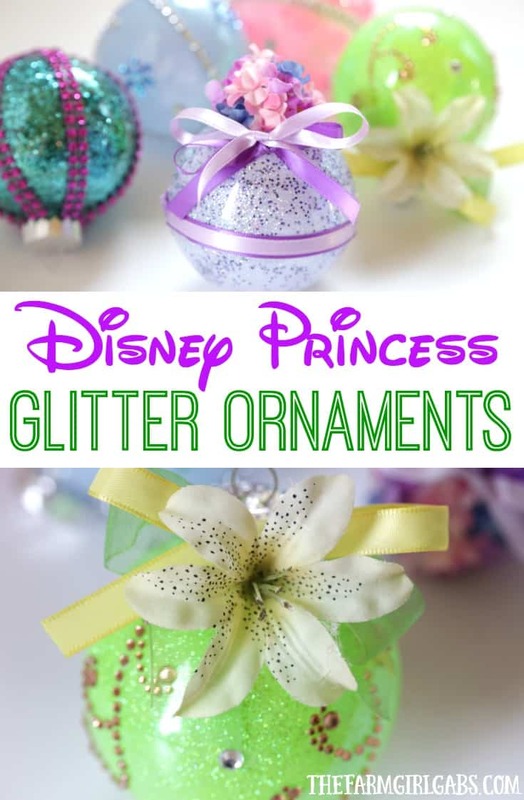 If you want to make some more Disney-inspired princess ornaments for your Christmas tree, be sure to check out my tutorial for my Disney Princess Glitter Ornaments. Where did you get your adhesive rhinestone embellishment? I have looked everywhere and cannot find it!